For years, Subaru Rally Team USA has crushed its competition in Rally America’s Open Class. After a large chunk of Rally America’s events jumped ship to the newly formed American Rally Association, Rally America’s most dominant team announced today that it will compete in the ARA for the series’ inaugural 2017 season. For 2017, Subaru Rally Team USA will compete in all six rounds of the American Rally Association National Championship in 2017 WRX STI rally cars. The ARA championship includes rallies in the United States and Canada. Subaru has also become the American Rally Association’s first national-level sponsor, per an ARA announcement. Subaru’s driver duo will be entered in several additional events for 2017, which will be announced soon, per Subaru’s announcement. Some of those could be Rally America events, as Subaru didn’t explicitly say that they were leaving Rally America. However, it looks as if Subaru’s primary focus for 2017 will be on the new ARA championship. Subaru has been one of Rally America’s most visible competitors, constantly promoting the feats of their team as well as offering a substantial contingency program that awarded thousands of dollars to other teams running Subaru cars. There is no mention of Rally America on the page for the contingency program, either. Subaru’s meaty contingency program and heavy involvement with rally have been the reasons why so many American rally cars are Subarus. Other manufacturers’ support for the sport isn’t nearly as substantial. Next year, Subaru Rally Team USA will also keep drivers David Higgins and Travis Pastrana. Pastrana will compete for the full 2017 season after several years of only running partial seasons. 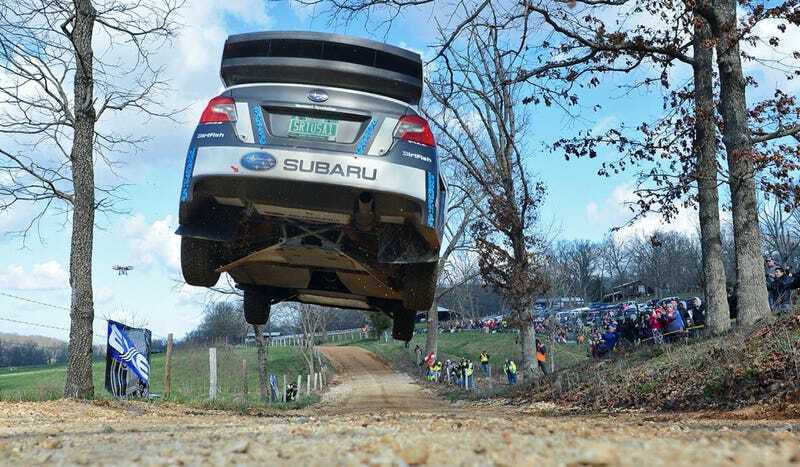 This year, Higgins locked down his sixth Rally America Driver’s Championship in a row, and Subaru once again took the Manufacturer’s Championship. Rally America has not released a 2017 calendar yet, however, the series announced that they were committed to running the 2017 season in a July press release. Edit: At the time of this writing, Subaru still listed the class names from Rally America on their contingency page. These have since been updated to ARA’s new class names, and thus, corrected above. Rumor Roundup: What The Hell Is Going On With American Rallying?